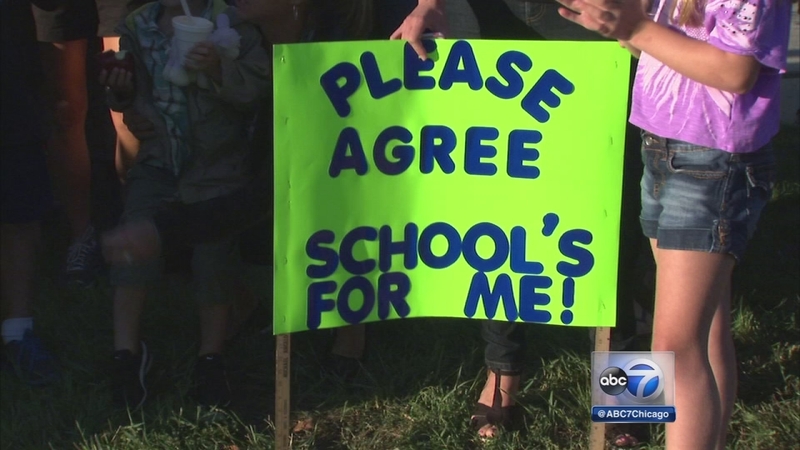 PROSPECT HEIGHTS, Ill. (WLS) -- Negotiations with striking teachers in Prospect Heights resume around 6 p.m. Friday. The teachers' union unanimously rejected what the school board called its "best and final offer." The union came back with a counter-proposal, including lower percent increases for salaries. But so far there is no agreement. More than 1,500 students have been out of school since the strike began last Wednesday.